Conventionally, inhaled drugs have been used to deliver medicines targeted at the most widespread respiratory diseases – specifically, chronic obstructive pulmonary disease (COPD) and asthma. 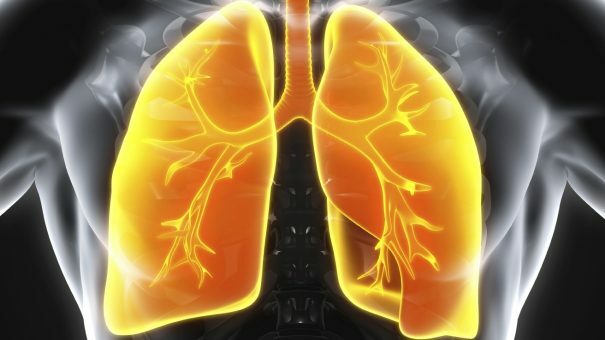 However, the market for all inhalation-related diseases, specifically idiopathic pulmonary fibrosis (IPF), cystic fibrosis (CF), plus COPD and asthma, amounted to $28.1 billion in 2015 and is predicted to expand by a further 50% by 2022. Moreover, there is a worldwide demand for more effective treatments in conditions like tuberculosis, lung cancer and infections. An obvious advantage of inhaled formulations is delivering respiratory medications directly to their site of action in the respiratory system. There are other significant benefits as well, which are driving research into inhaled treatments for systemic diseases. The interest in inhalation delivery has continued to rise and was not hindered by the withdrawal of the first inhaled insulin, Exubera, in 2007. In fact over the past four years, 1,350 active inhalation studies – for new combination and existing products encompassing 802 different diseases and 105 rare diseases – have been logged so far with the US FDA clinical trial register. Over half of these are for systemic conditions. Two key considerations in determining the success of inhaled medications are drug formulation and the inhaler device itself – as was the case with Exubera. Innovations in both of these aspects are leading to more effective combination, route-switching and generic drugs, although improved powder formulations may be more cost-effective to develop than new sophisticated inhalers for medication. The development of any inhalation device takes resources, time and effort – especially as drug delivery can be critical to how effective a drug may be to patients. It has unique and beneficial qualities compared to other conventional approaches to drug delivery. Extended protection can be provided to patients when inhalation devices are used in combination. Consider the example from the US of GlaxoSmithKline’s Advair (seretide) formulation, which came off patent in 2010 [although integration as part of the Diskus delivery device extended the patent life until 2016]. To ensure that an inhalation device is effective, it must be matched to the patient, and utilisation must be relatively simple and forgiving of poor techniques, as well as providing technique and dose emission feedback readily to the user. The market for respiratory inhaler devices is projected to keep expanding to an estimated $43 billion by the end of 2025. Until recently, a mechanical micronisation process has been used to produce the fine drug particles required for delivery in dry powder inhaler (DPI) devices. Drug stability and dose control are often improved by combining a lactose carrier with these drug particles, depending on the drug type or compound class involved. However, new particle engineering techniques look set to be transformational. They have the potential to provide more effective drugs, lower the doses needed and reduce the potential for side effects. Studies carried out by non-clinical partners over a range of novel and unique inhalation formulations have shown that their aerosol concentration is more consistent, reproducible and aerostable compared to standard, lactose-based carrier formulations. Study conduct is improved, possible animal-to-animal variation is decreased and the overall quantities of drugs required for these studies are reduced. Liquid formulations continue to be developed as solutions or suspensions but, akin to powder formulation development, particle engineering techniques look set to be transformational with the introduction of emulsions or nano-suspensions. Nanotechnology has broad scope for application across diagnosis, prevention and treatment, not just for inhalation delivery. The nanotechnology-enabled drug delivery market is projected to reach a value of $136 billion by 2021. Dose delivery methodology and the reproducibility of effective dosing are critical to planning inhalation technology-focused efficacy and toxicology studies. The two key methods for drug delivery in non-clinical studies are intratracheal and inhalation dosing. Intratracheal dosing – principally used for early screening studies – involves anaesthesia and intubation. The drug is delivered via bolus through the intubation tube. This method is simple, uses minimal drug quantities, and delivered dosages can be quantified easily. The disadvantage is that it is liable to pharmacological and artefactual toxicological results, and the particle size used in testing will often differ from ones that are used non-clinically. Inhalation dosing, by contrast, removes the risk of intratracheal artefacts by delivering compounds to conscious animals via the clinical route of administration – namely, the lung. Specialist inhalation technology experience and capabilities are essential for applying this method. Study integrity can only be maintained if the aerosol can be reproducibly controlled during both intra- and inter-exposures. If not, study endpoints can be compromised with poorer data interpretation and reduced scientific impact, and the study may even need to be repeated. Compound requirements are a key component in inhalation studies as larger drug amounts are required compared to other routes of administration, although novel techniques can help minimise usage. Consequently, inhalation experts at non-clinical partners should collaborate with customers to develop more efficient dry powder inhalation methods, including capsule-based aerosol generators (CBAG) that offer significant cost savings compared to other commercially available instruments. Alternative solutions to conventional drug discovery methods that provide companies with a competitive edge are in high demand. Research scientists need to concentrate on developing ways of de-risking drugs earlier in product development – by incorporating additional endpoints into early in vivo studies and extending a product’s value proposition through devising innovative approaches and techniques. Inhalation delivery has a huge future for drugs targeting both systemic and respiratory diseases. Simon Moore is director of Inhalation Science and Engineering and Toxicology Operations Inhalation team leader at Envigo. 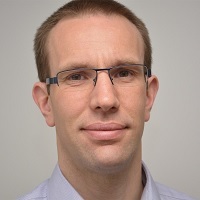 He is responsible for all aspects of aerosol technology, covering the overall interpretation and reporting of inhalation studies including safety pharmacology and ADME. He also leads a team of inhalation engineers who design, prototype and manufacture custom inhalation equipment for the non-clinical safety assessment studies conducted at Envigo.